2015 has been a great year for fans of role playing games thanks to the release of many interesting titles. Among the more popular of them is The Witcher 3 Wild Hunt, the latest entry of the series created by Polish team CD Projekt RED. During 2016 this popular role playing game is going to receive its second expansion called Blood and Wine, which will introduce a brand new location and much more. 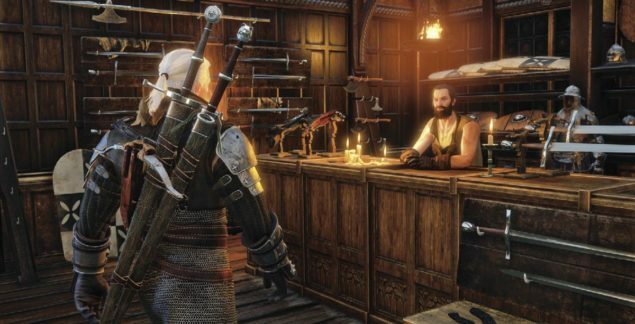 Earlier this month the first screenshots of The Witcher 3 Blood and Wine expansion have been shared by the team but not much has been said about the expansion and its features. Something new on it, however, has still managed to surface online recently thanks to the game’s Czech translator. A few hours ago, Filip Ženíšek has revealed on Twitter that he recently received another 14.000 words about The Witcher from CDP to translate. He was apparently asked to translate them over the holidays, definitely no easy feat. Even before receiving these extra 14.000 words, Filip Ženíšek was already working on the Blood and Wine translation. The translator recently mentioned that he has been working on a quest featuring an old familiar character that’s more interesting than Shani. We don’t know who this character is, obviously, but we will definitely hear more about the matter soon. The Witcher 3 Blood and Wine expansion is the second expansion that will be released for the game. As mentioned above we don’t know much about it, other than that it will be set a brand new area called Toussaint, a Nilfgaardian duchy, and that it will feature characters that players have read about in the books. The Witcher 3 is now available in all regions on PlayStation 4, Xbox One and PC. The Blood and Wine expansion will be released on a yet to be confirmed 2016 release date.